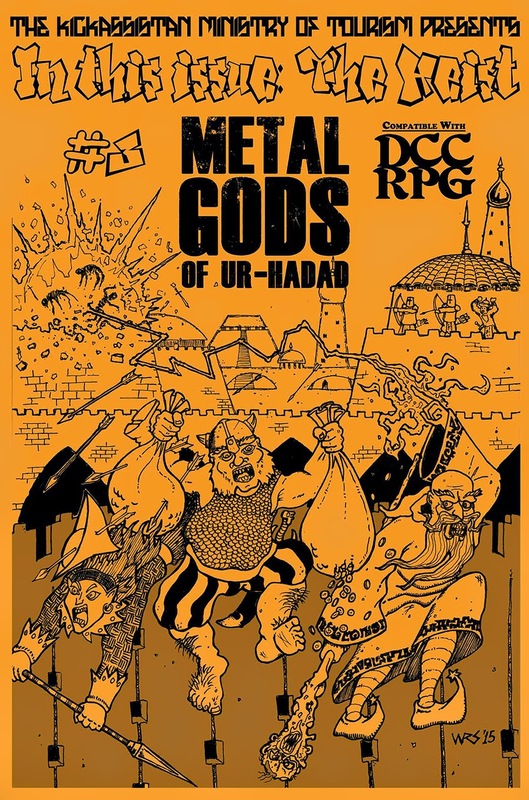 Dispatches From Kickassistan: Metal Gods Of Ur-Hadad zine Issue #3 is Here! 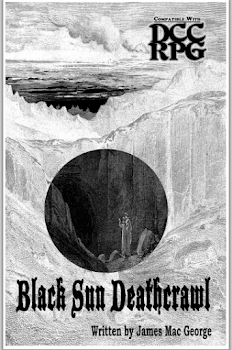 Metal Gods Of Ur-Hadad zine Issue #3 is Here! Buy Issue #3 In Print! Get the Pay-What-You-Want pdf on RPGNow or DriveThruRPG! After far too long of a wait, the much-anticipated Metal Gods of Ur-Hadad Issue #3 is here! A new patron, Atraz A'Zul, the Mother of Spiders! The various currencies of Ur-Hadad and world beyond! The Heist! An adventure toolkit designed to let any Judge run a complex robbery on the fly. A Wayne Snyder Dungeon Insert: The Marrow Web Bridge! This issue is produced in support of Freedom To Read Foundation's Frank Zappa Fund (more info here: http://www.ftrf.org/?page=Zappa_Fund), fighting to keep our public libraries free from the absurdity of censorship. Donations over and above the sticker price of $4 for this product will go to support the important work of keeping book-bannings out of our schools and libraries.